“Natural gas could warm the planet as much as coal in the short term,” as the journal Science itself summed up the 24-author study it just published. Note 1. But that headline — and virtually all of the media coverage of the study — tells only a piece of the story: The findings confirm if a coal-fired plant is replaced with a gas-fired plant there is no net climate benefit for at least two decades. Note 2. The missing piece in both the study and the coverage, though, is that countless studies have made clear that natural gas does not just displace dirty coal in the power system — it displaces many carbon-free sources of power, including nuclear and renewables. Note 3. Natural gas has no climate benefit and may make things worse: Methane leaks in New Mexico’s oil and gas industry equal 12 coal-fired power plants. Let’s briefly step back from this study to look the three essential reasons natural gas is not a “bridge” fuel to a carbon-free future. First, natural gas is mostly methane (CH4), a super-potent greenhouse gas, which traps 86 times as much heat as CO2 over a 20-year period. Note 4. That’s why many studies find that even a very small leakage rate of methane from the natural gas supply chain (production to delivery to combustion) can have a large climate impact — enough to gut the entire benefit of switching from coal-fired power to gas for a long, long time. Note 5. Second, a great many studies have found that leakage rates are not small at all, especially as fracking has become more popular. 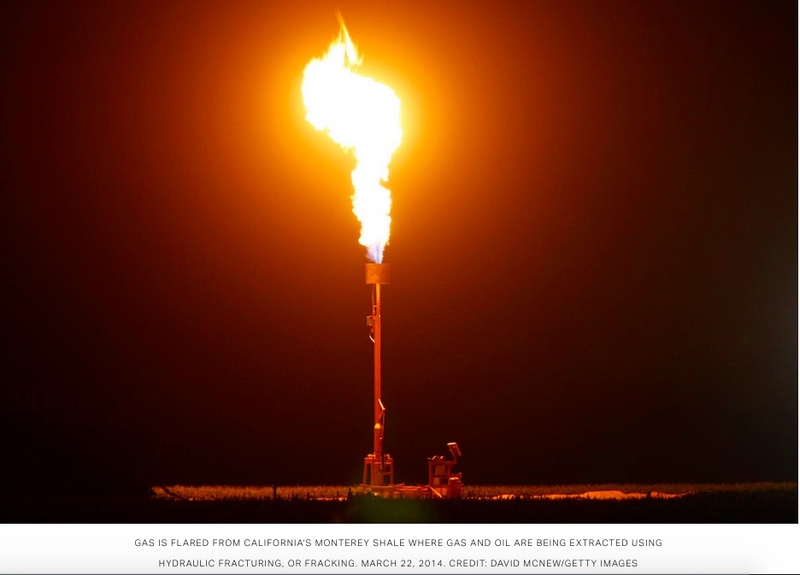 “A review of more than 200 earlier studies confirms that U.S. emissions of methane are considerably higher than official estimates,” as one 2014 Stanford review research on methane leaks explained. Note 6. In November, another study found the methane emissions escaping from just New Mexico’s gas and oil industry are “equivalent to the climate impact of approximately 12 coal-fired power plants.” Note 7. In January, NASA found that most of the huge rise in global methane emissions in the past decade was in fact from the fossil fuel industry — and that this rise was “substantially larger” than previously thought. Note 8. This latest study, “Assessment of methane emissions from the U.S. oil and gas supply chain,” has authors from 16 different institutions, including NOAA, National Institute of Standards and Technology (NIST), Stanford, Harvard, Princeton, and Carnegie Mellon — experts who have co-authored many of the most important studies in this area. See Note 1. The study found methane emissions are so large, they “produce radiative forcing over a 20-year time horizon comparable to the CO2 from natural gas combustion.” That means the total warming from natural gas plants (leaks plus burning the gas) over a 20-year period is comparable to the total warming from coal plants over 20 year period. And that brings us to the third crucial point about why natural gas isn’t a bridge fuel. Many other studies find that natural gas plants don’t replace only high-carbon coal plants. Note 9. Gas plants commonly replace very low carbon power sources like solar, wind, nuclear, and even energy efficiency, which is often overlooked as a major alternative to fossil fuels. That effect has been large enough recently to wipe out almost the entire climate benefit from increasing natural gas use in the utility sector if the leakage rate is only 1.2 percent, as one study found back in December 2013 [Note 10], when renewables were far less competitive with gas than they are now. Note 11. But the comprehensive new Science study finds that the leakage rate is 2.3 percent — confirming that indeed the rate is much higher than the estimates used by the EPA, industry, and others. It’s time to acknowledge that fracking is truly part of the climate problem, and likely to become a bigger problem over time as natural gas competes more and more with renewable energy sources. Note 5. Ramón A. Alvarez, et. al, “Greater focus needed on methane leakage from natural gas infrastructure,” PNAS (24 April 2012).